Updating elasticsearch to a newer version has been quite a breeze in the past. But with the arrival of the new major es-release 2.0, I thought a bit more thorough test were in order. A good read for breaking changes can be found here. A very useful es-plugin to check your existing indexes for compatibility issues can be found here. One of the major changes that did hit us, is the fact that field names may no longer contain dots. We use the elk stack to mainly log webserver logs. For some log types we also parse the URL get params to param_name => param_value pairs. Sadly, some of those param_names contain a dot, e.g. „document.x=123&document.y=345“. So, to migrate the exiting indexes we need to get rid of the dots in those fields. 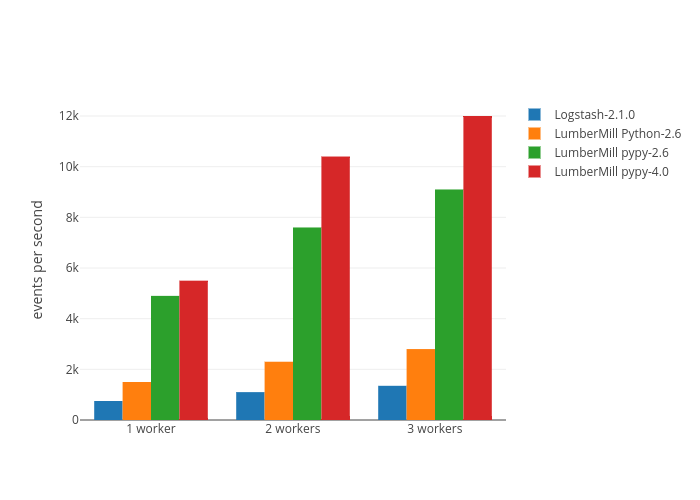 # Sets number of parallel LumberMill processes. # Recursively replace dots with underscores in all fieldnames below field "params". # Copy old event type to new event. # Drop internal es fields prior to reindex. would not cause this problem. So I suspected that the length of the vary header might be the problem. Wrote a simple tcp server to check and – well what should I say: the answer was 42. That is the maximum length of the vary header in this nginx release. So i patched this to 250, recompiled and the problem was fixed. This was recently fixed. See here. Following this how-to to set up a ha nfs server I stumbled into a problem with zfs and the takeover process of heartbeat. > 	# after calling /etc/init.d/zfs stop. Removing the kernel module resolves this issue. The machine used was a x86_64 CentOS-6.5 vm image with 1GB RAM and 3 cores. The host was a Core i3 iMac/3.06GHz. The logstash data is only included as a reference for me. The generator.threads setting was set to the number of filter workers started for each run. # Print out some stats every 10 seconds. # Add geo info based on the lookup_fields. The first field in <source_fields> that yields a result from geoip will be used. # Nginx logs request time in seconds with milliseconds as float. Apache logs microseconds as int. # At least cast nginx to integer. filter: if $(server_type) == "nginx"
# Split custom vars to map. # Kibana’s ‘bettermap’ panel needs an array of floats in order to plot events on map. # Add geoinfo to custom vars. # Split custom_vars to map.